Welcome To West Virginia, Obama — In 2 Pictures : It's All Politics President Obama is slated to speak in West Virginia Wednesday afternoon, but protesters were lining up hours beforehand — and their welcome wasn't exactly hospitable. President Obama at a campaign event in 2012. West Virginia isn't exactly Obama Country. And that was made quite obvious hours before the president was set to speak there on efforts to combat prescription drug abuse and heroin use. Protesters lined up with signs. Here are a couple, courtesy of NPR's Don Gonyea. 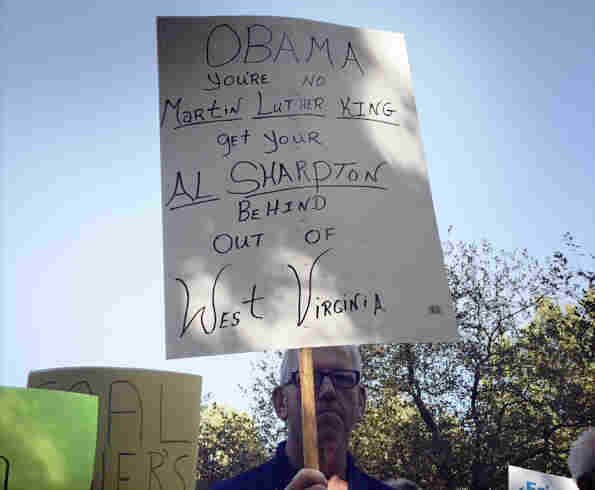 "OBAMA YOU'RE NO Martin Luther King get your AL SHARPTON BEHIND OUT OF West Virginia." 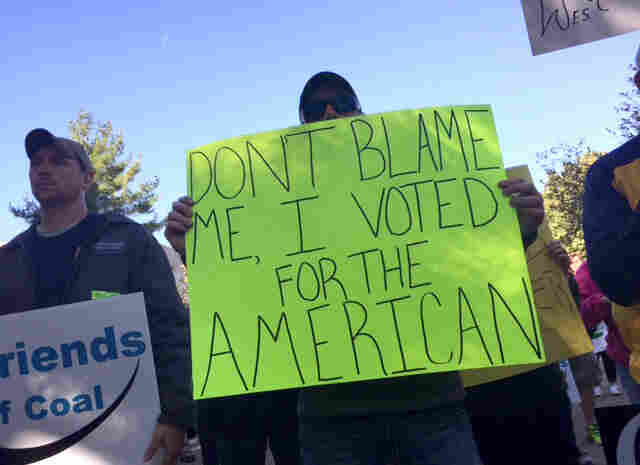 "DON'T BLAME ME, I VOTED FOR THE AMERICAN." 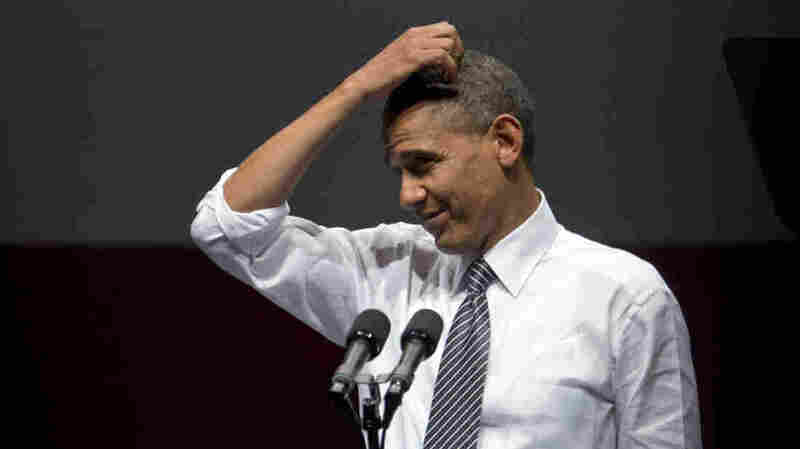 Obama's approval rating in West Virginia is among the lowest in the country — in the low to mid-30s. That rivals low ratings in the rest of Appalachia (like Kentucky, for example), much of the rest of the South and rural states like Idaho, Wyoming and South Dakota. As the New York Times pointed out in its map of how counties shifted from the 2004 to 2008 elections, the counties that shifted the most toward Republicans were in only a handful of states. The darkest red streaks were in a curved line from West Virginia through Kentucky, Tennessee, Alabama, Arkansas and Oklahoma. Here are a couple other signs, including one that asks, "How many miner lost jobs because of you?"